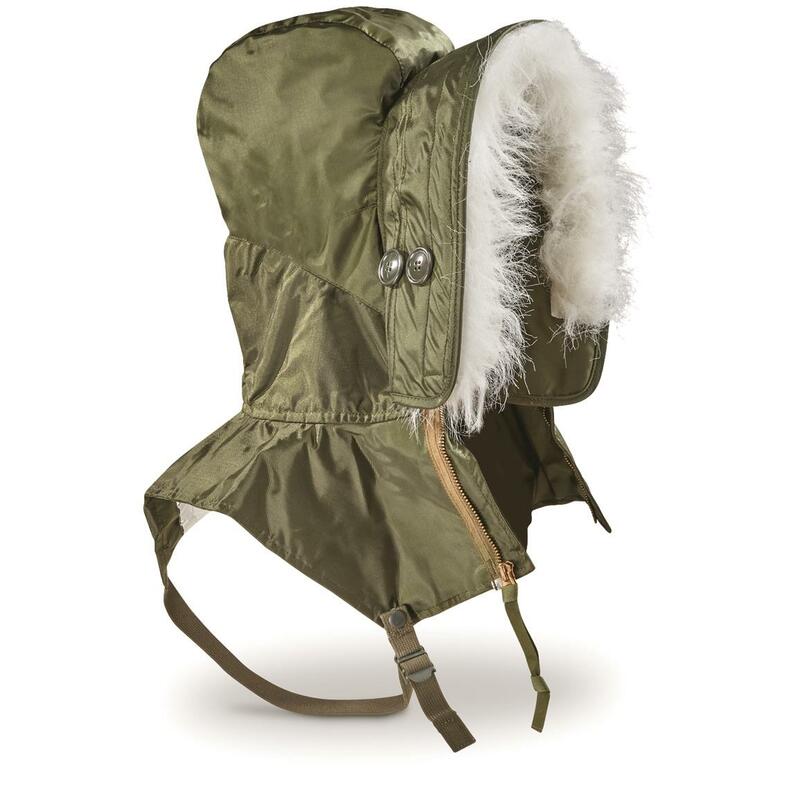 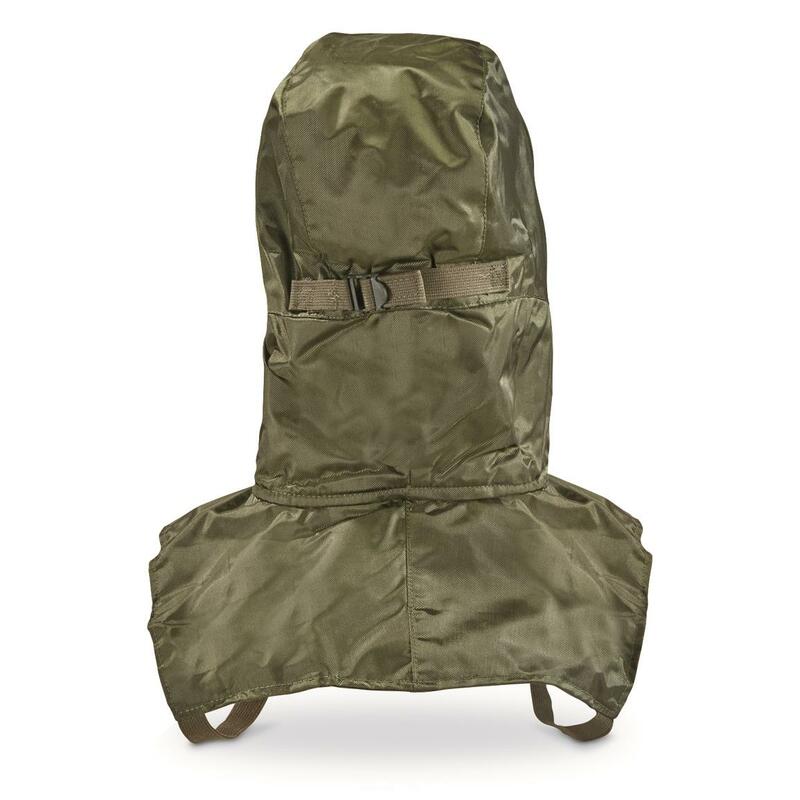 Parka Hood that tucks under the U.S. Navy’s Extreme Cold Weather Impermeable Jacket. The jacket was issued to Navy personnel exposed to extreme cold, wet, and windy weather. 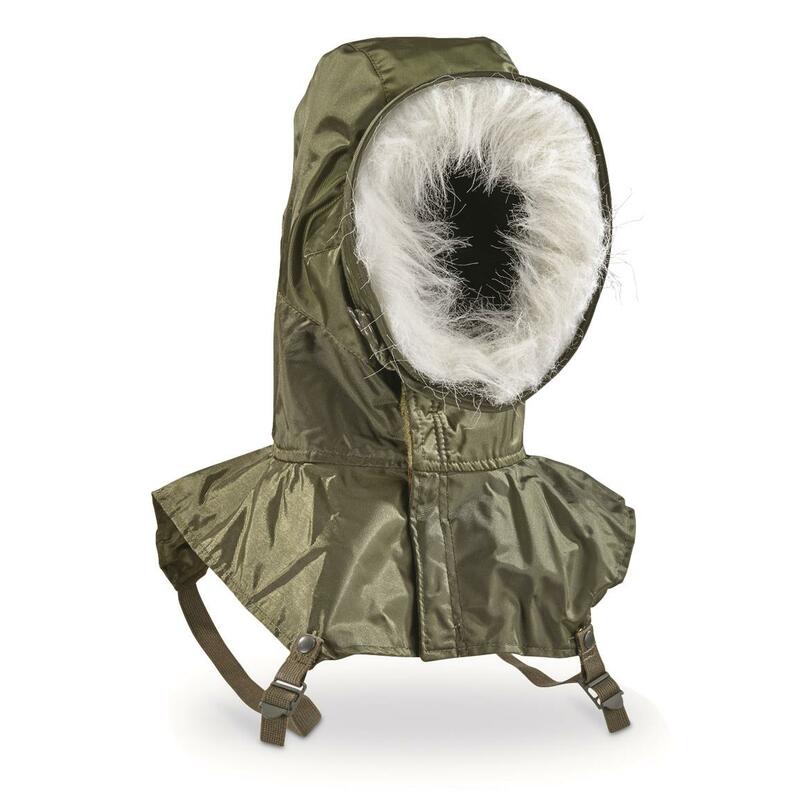 You don't have to own the original ECW to benefit from the head-warming properties of this mil-spec Hood with faux fur lining.